Field trips with the family or school can bridge the gap between education and hands –on experience. Just look to private and charter schools as examples, you will see that field trips are a vital requirement of their educational curriculum. I believe if we had more field trips, education would be more creative and effective in getting kids to successfully graduate high school and college. As well as preparing them to make big differences to communities and life as we know it. Field trips are crucial for every student to acquire increased knowledge, culture and hands on experience. 1. Educational hands-on learning – First, let’s talk about the hands-on experience that is so valuable in gaining any job in today’s market. As an adult, we are expected to have the experience to be successful at our jobs. Employers expect prospective employees to be self-starters, motivated and willing to jump into a role with little to no training. Why wouldn’t a student become more successful at school and future employment if he/she had more knowledge of a subject matter? If there was more hands-on field trip experience, the student would feel more confident and less stressed towards learning. For example, as a plumber, you can’t learn how to find a leak from a book. It takes the hands-on experience to perfect the art so the leak is found with minimal effort. Only hands-on experience will help with this. 2. Seeing is believing – Experiencing a visit to the zoo may be more memorable than reading about it. For example, seeing a giraffe for the first time will give you an everlasting impression of what super tall really means versus reading about it. 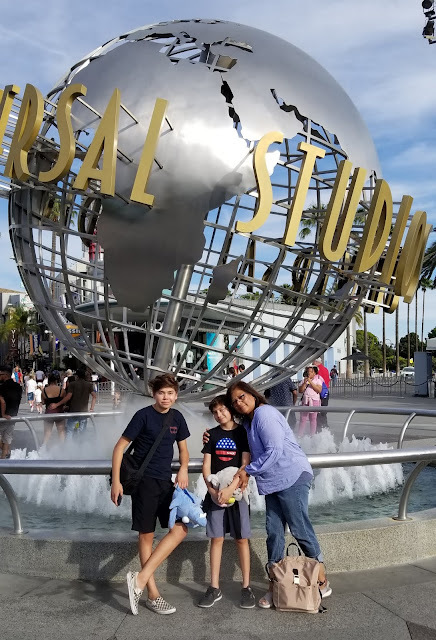 Seeing a zoo, a telescope, a nature trail or science museum can help a student connect to the reading material with the field trip making the learning experience more fun and easy to remember. Who doesn’t remember that childhood visit to the zoo when they were in school? 3. Remembering material that has been observed - Another example is your college Chemistry course, although you don’t realize it, half of your learning experience was in a lab. A “Field Trip” to another classroom where you applied the reading material to physical hands-on experiments. After working hands-on with the experiment, wasn’t the reading material placed into perspective and far more clear than simply reading it? 4. A better understanding of the world we live in through active participation via Field Trips - This can help a child be aware of how things are related and how they work together. For example, milk comes from the farm and then arrives at the grocery store via truck. There is a connection between how the milk arrived at the store. Understanding that a grocery store has various vendors who provide services takes the mystery of how milk arrives at the store helping the child become more aware of how the community works. 5. Storing memories for future reference – Field trips can help produce memories that will be used later on in the classroom. Having a previous experience can help understand lesson plans with little explanation. For example, what is a Fire Station? If you have never seen one to understand how it functions, it may cause you to stress if you had a test about it. Visiting a fire station not only takes the mystery out of the learning but allows for questions to be explored and further discussion helping others at the same time. 6. Break from the daily school activities – Looking forward to getting out of the classroom and breaking the daily routine. Children love a fun surprise and a fun adventure. Adventure and fun have been proven to spark the memory allowing for ease of learning and memory retention. 7. Finding out if this is of interest to me – Children will tell you if the field trip was exciting to them and if it was something they will look forward to doing again. This allows for tailoring the learning experience in the future to maximize the learning experience for all. 8. Discovery of the community around us – Who is in our community and who supports us. How are they part of the community and how do I support them. What challenges is the community facing and how those challenges affect us all can spark innovative thinking allowing for greener, more logical advancements and solutions to everyday problems? 1. Stage your own show with friends old and new at The Mann Theatre! 2. Jam with instruments from across the globe at Rhythms of the World! 3. Fly a real plane to lands far and near at the Discovery Airport! 4. Offer your time, talent and treasure to their world at the Giant Tzedakah Pinball! 5. Be a hero on land and sea at the S. Mark Taper Foundation Aid and Rescue Center. 6. Shop, gather read and feast at the places on Main Street! 7. Serve up cuisines from different cultures at the Blue Bagel Café! 8. Meet your friends and enjoy our own “Greenspace” at the Community Park! 9. Build the world of tomorrow in the Construction Zone! 10. Dream about what could be at the Wishing Well! 11. 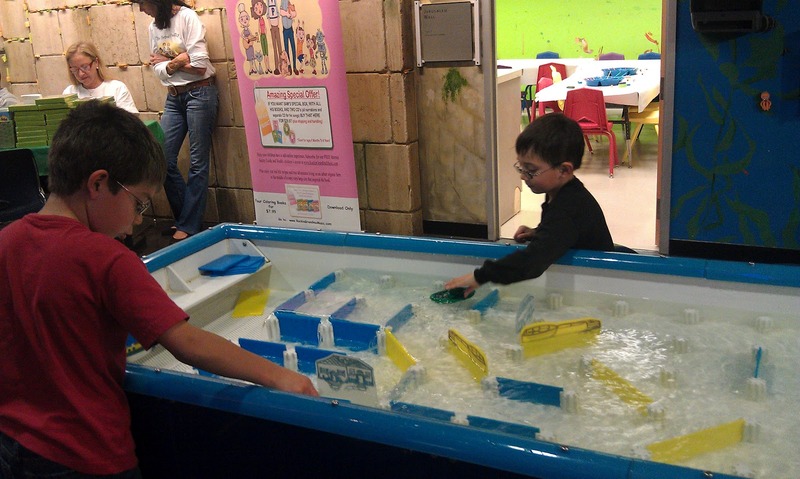 Navigate this precious resource and discover what depends on it at Water Ways! Field trips are the gateway to advanced learning. Studies show a direct correlation between learning and hands-on experience. Private and Charter Schools incorporate 3-4 field trips a month into their educational curriculum allowing students to expand their minds. Field trips do not have to be expensive to get the full benefit. Most museums and other businesses have incentives to get groups/schools to their facility. For these reasons, we as parents must take an active role in our children’s’ future. Get off the computer and take your children to a local museum or business for a tour. Help fundraise and bring awareness to our public schools showing how beneficial Field Trips are to the education of our future leaders. Take a stand and petition our government officials to ensure funding is available to schools for field trips. Bring a field trip to your child’s school by volunteering and coordinating an on-site visit by a scientist, poet, artist or mathematician. Get involved in a Field Trip today! The Zimmer Children’s Museum has set a goal and is fundraising to provide free field trips to 2500 Head Start and Kindergarten students. 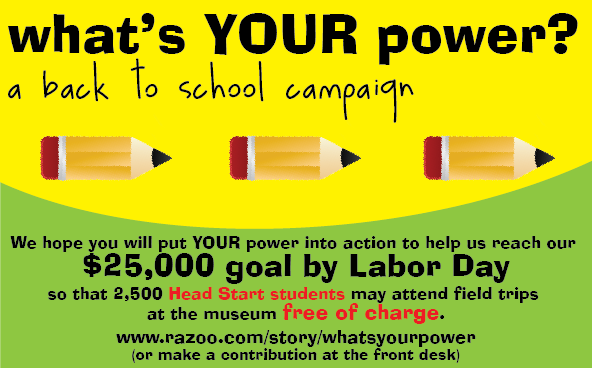 Field Trip Mom is asking you to assist with this goal by helping with a small donation. We would like to ask you to support the Zimmer Children’s Museum with a $25.00 donation. We understand some budgets are stricter than others so any amount you are able to provide will help towards a child’s visit to this amazing museum for that hands-on experience with this field trip opportunity. If your budget can support it, a $250.00 donation will help 25 children with their admission and put a smile on their faces. Please donate today and tell them your donation is a result of this blog post by Field Trip Mom. Thank you for taking a stand! Fun! We haven't been here yet, but we love children's museum. This might warrant a special trip! Sounds like a fun museum! We'll need to check it out when we're in the area. I love the Zimmer. It's a very special place and I hope that kids all over Los Angeles will get to go on field trips there. Thank you for sharing this! There aren't any of those cool museums in my neighborhood- it makes me sad. That looks like a trip is on order!